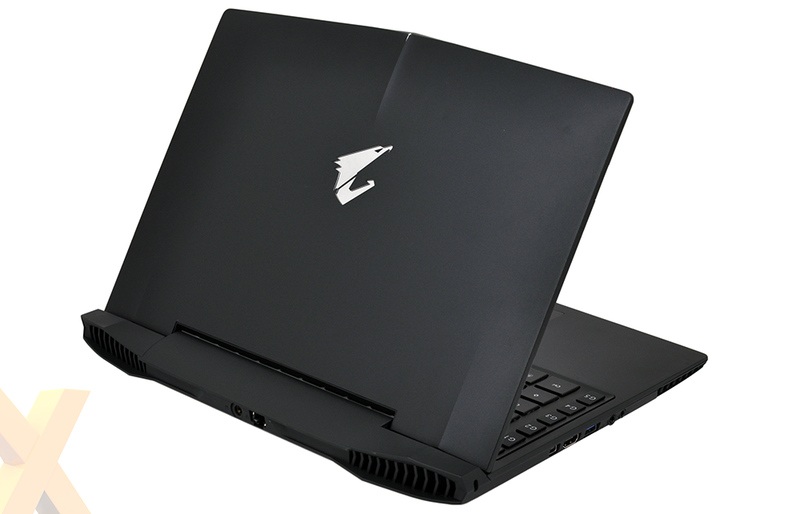 Aorus has wasted no time in fleshing out its range of high-end gaming laptops. Having arrived on the scene with the eye-catching X7 back in January 2014, the Gigabyte subsidiary has been quick to follow up with the smaller X3 and the soon-to-be-released X5. In addition to the various form factors, Aorus has also refreshed each model with new iterations designed to keep up with the latest developments in CPU and GPU tech. One of the latest such upgrades is the X3 Plus v3, which takes last year's 13.9in chassis and equips it with new GeForce GTX 970M graphics. Priced at £1,799, the v3 model fetches a £280 premium over the original X3 Plus, and that hefty hike can be attributed solely to graphics: an extra 16 per cent is the price you pay to go from the old GTX 870M to this year's GTX 970M. It's a substantial amount of money, but there are few svelte laptops equipped with such a powerful GPU, and Aorus reckons the price will be justified by enthusiast users wanting to take their games on the road in a sleek, portable package. Measuring 22.9mm at its thickest point and tipping the scales at a smidge under 1.9kg, the X3 Plus is without a doubt one of the more stylish gaming laptops available. There's just enough flair to hint at the power lying under the hood, but it is far from ostentatious and could quite easily double as your everyday workhorse. As far as we can tell, the chassis itself hasn't changed between model revisions. 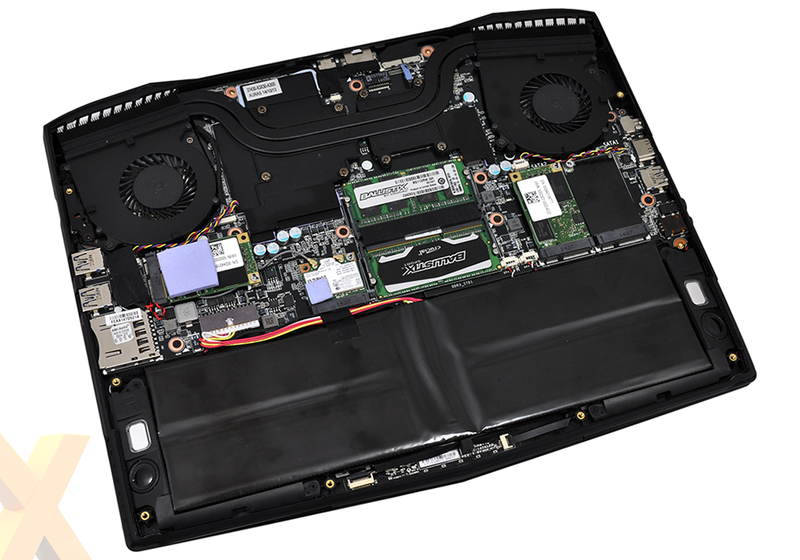 In keeping with the original, the X3 Plus v3 is part metal, part plastic and feels reasonably sturdy, however there is a tiny bit of flex in the keyboard tray and the overall shell isn't as sturdy or creak-free as unibody Ultrabooks. Both the backlit keyboard and flush touchpad are a good size and hold up well during casual and gaming use, and with the latter audience in mind, Aorus retains a column of user-configurable macro 'G' keys. The left-sided I/O ports now include USB 3.0 alongside DisplayPort, HDMI and audio jacks, while the right edge is home to another two USB 3.0 ports, an SD card reader and a sometimes-hard-to-find power button. Gigabit Ethernet is tucked around back, alongside a connector for a reduced-capacity 150W power supply. 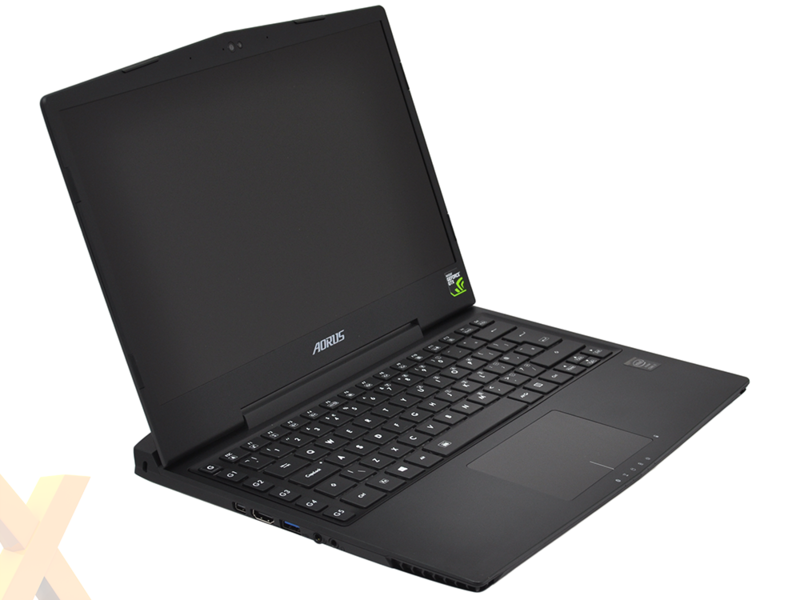 Plenty to like, yet it's the laptop's upper half that impresses most during everyday use. Aorus continues to utilise a Sharp IGZO QHD+ display that touts a lush 3,200x1,800 resolution. Viewing angles are generally excellent, though you do lose a bit of brightness when off-centre, Windows 8.1 scales well to deliver ultra-sharp text, and the matte finish is much preferred to a gloss coating. The built-in stereo speakers are also surprisingly powerful and the only obvious weak spot is the lack of touchscreen functionality, which may or may not be a deal breaker for some. It's on the inside that the bulk of the v3 changes take place. We can see that the cooling solution hasn't changed - we're still looking at a dual-heatpipe, twin-fan setup - but the associated CPU and GPU has. For its latest model, Aorus has actually downgraded the CPU from a 3.6GHz Core i7-4860HQ with integrated Iris Pro graphics to a 3.5GHz Core i7-4710HQ with a lesser HD 4600 IGP. A strange choice for a pricier revision, but Aorus is hoping to offset the CPU downgrade by upgrading the dedicated GPU to a Maxwell-based GeForce GTX 970M. Armed with 1,280 shaders, 80 texture units, 48 ROPs and 6GB of memory paired to a 192-bit bus, Nvidia's second-rung mobile GPU is a potent solution for a 13.9in machine and should bode well for in-game framerates. As expected, the laptop automatically switches between IGP and GPU based on usage scenario to help prolong batter life. In the storage department, it seems Aorus has opted against M.2 and has replaced the original model's duo of high-speed ports in favour of three mSATA slots. Two are populated as standard, leaving the third slot open for an end-user upgrade, however while the RAID 0 configuration is likely to be quick, the unexpected transition from M.2 to mSATA is a backward step. Elsewhere, the Gigabit Ethernet jack is still powered by a Killer NIC, Wireless AC comes courtesy of an Intel Dual Band 7260 adapter, and the 16GB (2x8GB) of DDR3 memory has been upgraded to Crucial Ballistix modules operating at 1,866MHz with tightened latencies. The Aorus X3 Plus v3 looks familiar, but the various hardware tweaks do make this a different beast, so let's fire up the benchmarks.